A third of the world’s population is at risk of contracting Dengue Fever, a miserable virus that’s a leading cause of illness and death in the tropics. Now, for the first time ever, three countries have approved a promising new vaccine. To say that Dengue Fever is a global health concern is a gross understatement. The US Centers for Disease Control and Prevention estimates that more than 400 million people are infected with the virus each year. About a half-million of these infections develop into the more severe hemorrhagic dengue fever, which causes about 25,000 deaths around the world annually. The World Health Organization says it’s quickly becoming the most problematic mosquito-borne viral disease in the world. And it’s spreading. The disease has extended its reach 30-fold in just 50 years. Frustratingly, there have never been any vaccines to prevent infection. But as Dina Fine Maron reports in Scientific American, there’s finally cause for hope. A new drug, called Dengvaxia, has been approved for use in three countries, namely Mexico, the Philippines, and Brazil. The vaccine itself is a live virus comprised of a modified yellow fever virus. It’s genetically engineered to include genes that encode for dengue proteins and coaxes the body’s immune system into producing antibodies that fight all four forms of dengue (DEN-1, DEN-2, DEN-3, DEN-4). 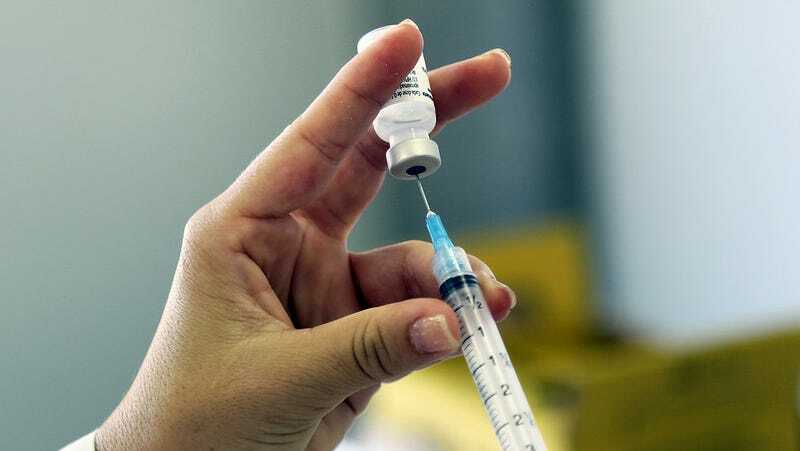 The vaccine was developed by the French pharmaceutical company Sanofi. As Maron points out, however, It’s not clear when inoculations will start—or at what price. This meaningful breakthrough is the result of over two decades of work involving 25 clinical studies in 15 countries around the world. Over 40,000 volunteers worked on the project and some 29,000 volunteers received the vaccine. Other vaccinations are currently in development, but only Dengvaxia has been given the green light. Sanofi’s facilities in France are reportedly capable of producing 100 million vaccine doses annually. Brazil, which approved the vaccine earlier this week, is particularly poised to benefit greatly from the new drug. The South American country recorded more than 1.4 million cases of dengue in 2015. Unfortunately, the vaccine isn’t perfect, nor is it for everyone. In clinical trials it proved effective for about 65-percent of participants aged 9 to 16. It prevented 8 out of 10 hospitalizations and up to 93-percent of severe dengue cases. Dengvaxia can only be used on people age nine to 45 years old who live in areas susceptible to dengue fever. Sadly, and as Maron points out, the vaccine appears to be the least effective among those who need it the most: children under six. All that said, we don’t yet know how this news will affect those living in the United States. Cases of dengue have recently been reported in Hawaii, Florida, and Puerto Rico, so the CDC and FDA would be wise to keep a close eye on Dengvaxia and how its deployment—and its potential effectiveness—plays out in other parts of the world.